About twenty seven steps away from Vigan Cathedral is a happy place where you can feed your stomach after feeding your soul. 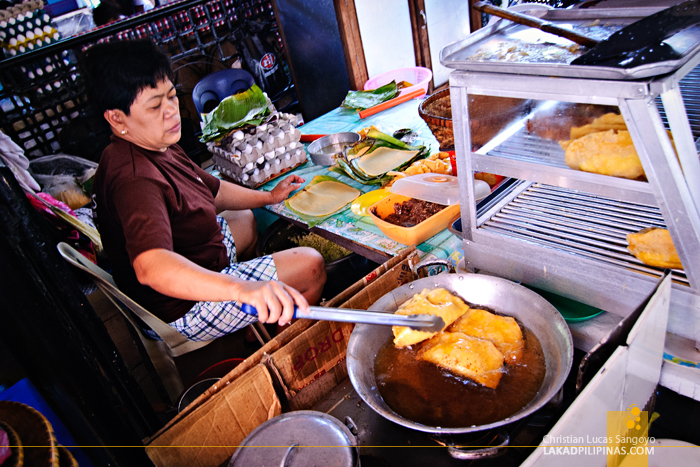 The empanada stands at Plaza Burgos is usually where I have my lunch and merienda after hours of walking whenever I visit Vigan City. 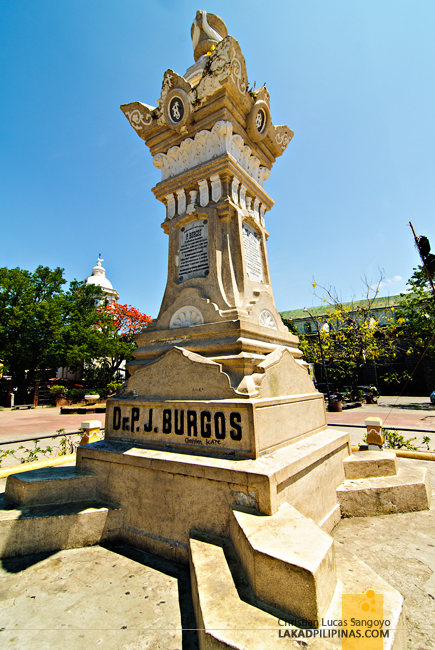 The empanadahan sits on the eastern edge of the plaza dedicated to Padre Jose P. Burgos, the Filipino priest who was executed garrote-style with fellow Padre Gomez and Zamora for fighting on behalf of ecclesiastical reforms in the country during colonial times. The plaza is one of the two major squares in the city, the other one being Plaza Salcedo. 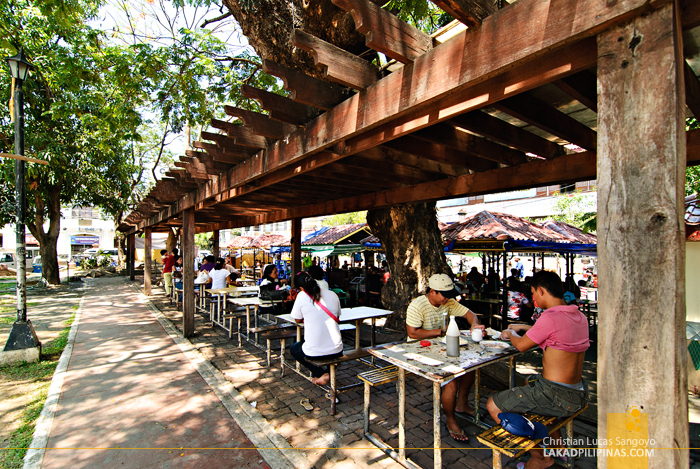 Naturally covered from the heat of the sun by century-old (I’m guessing here) trees, numerous stalls selling various street foods line the empanadahan. 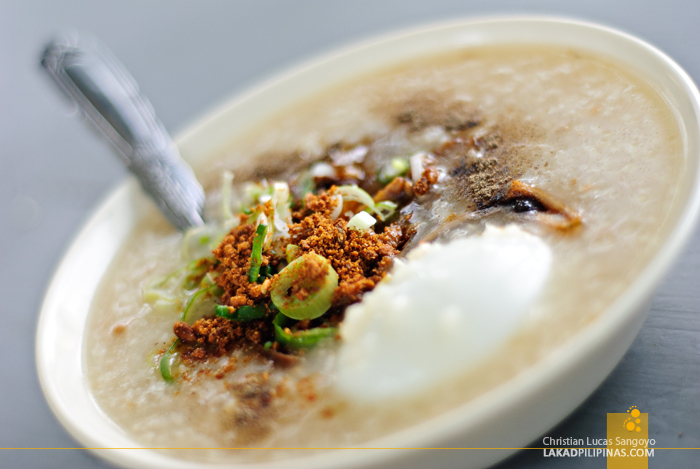 A quick walk through the open-aired eateries reveals smoking barbecue grills, piping hot bowls of arroz caldo and mami, platefuls of okoy, steaming sinanglao and of course as its name suggests, Vigan empanada. There are tables and benches set up inside eateries, but my favorite place to have my snacks in is at the tables set under a canopy of trellises. 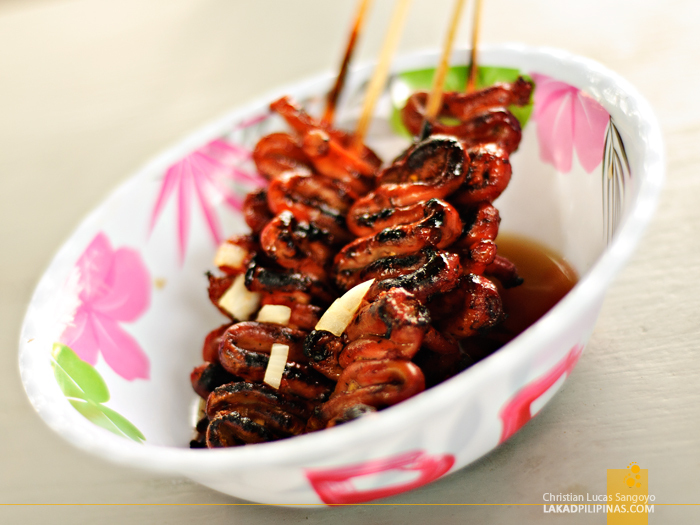 The arbor sits right beside the empanadahan, so you simply pick your choice of street food, pay for it, and then bring it there. Here, the tables are wider and the area much more airy; no need to battle for elbow room with the locals that flock the place, especially during lunchtime. 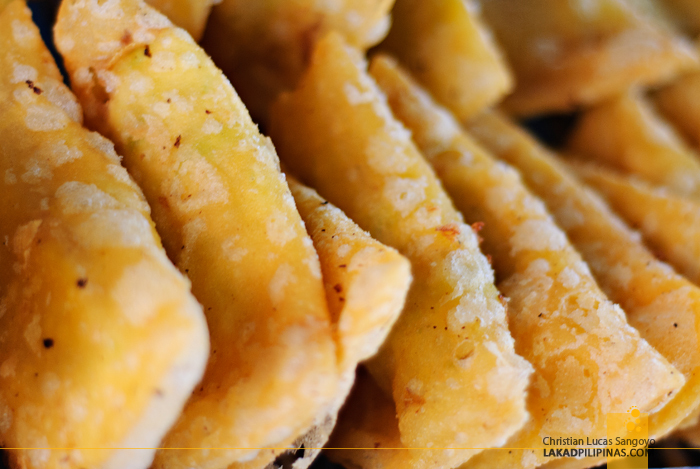 While the town of Batac in Ilocos Norte arguably holds the torch when it comes to empanadas, Vigan’s version can definitely hold its own. Cooked and prepared the same way, the difference between the two are its size, color and crust consistency. 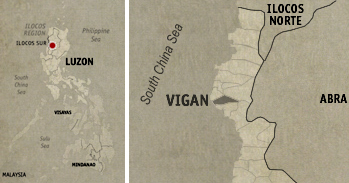 Vigan’s is slightly smaller, lighter in color and much crunchier. I like both, but if someone was to hold my camera and tell me he’ll drop it if I didn’t choose, like right now, I’ll choose Vigan’s empanada in a heartbeat. I don’t usually care where I buy my empanadas when in Vigan City, but during this last trip we were tipped off to get them from Aling Tina’s. 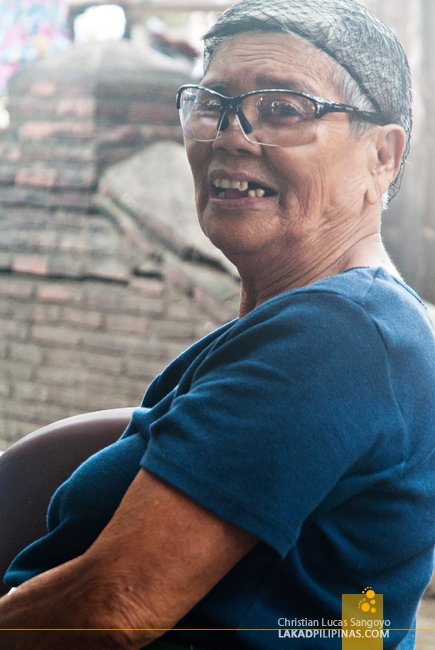 It seemed she’s the star of the Burgos empanadahan after being featured by a travel show. My order at this place usually consists of two plates; one for special empanada (Php35.00) and another for special okoy (Php35.00). 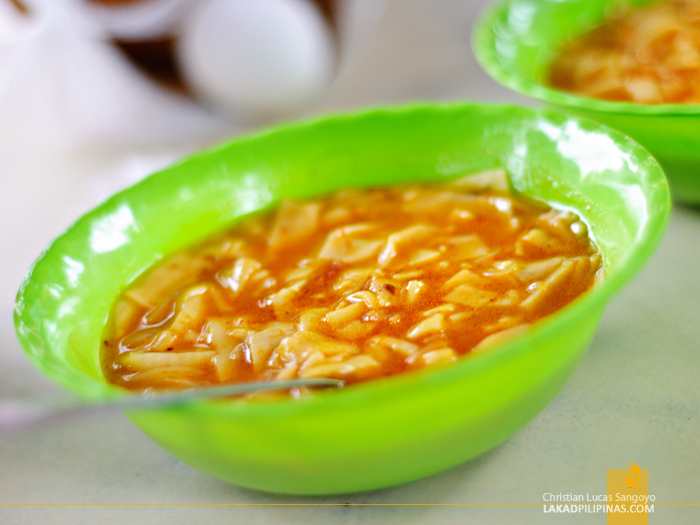 Each comes with its own bowl of sukang Iloco or vinegar made in the region. It is blacker than your usual Datu Puti variants. A bottle of Coca Cola also fits well with the bill. 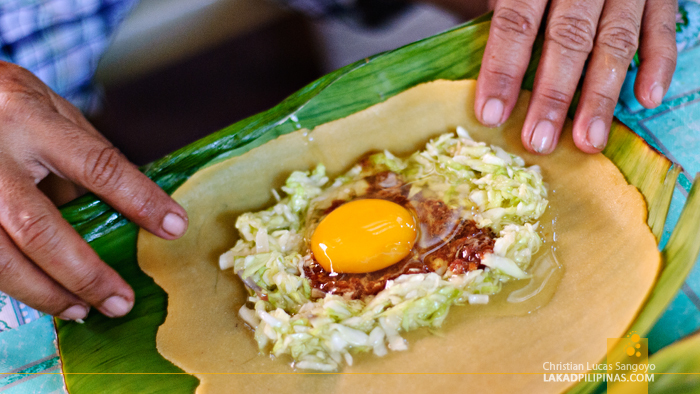 To be honest though, I sometimes find the okoy at this place to be better than their empanada. 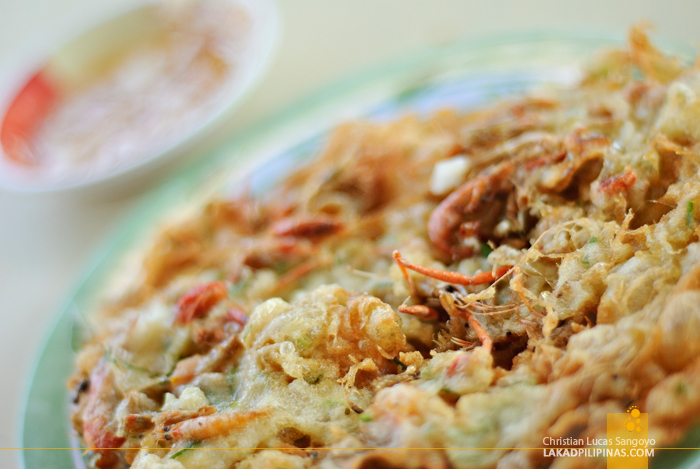 I hail from Malabon and I definitely know my okoy, I’ve been eating them since I was a little kid. The ones being sold at Plaza Burgos may be super oily and thinner than what I’m usually accustomed to, but my, are they uber crunchy! Err, if those don’t fill my needs for another round of walkathon around Vigan City, I don’t know what will. I love everything about Plaza Burgos’ empanadahan; unpretentious, greasy and flavorful food that won’t burn a hole in your wallets, no matter how hard you try. 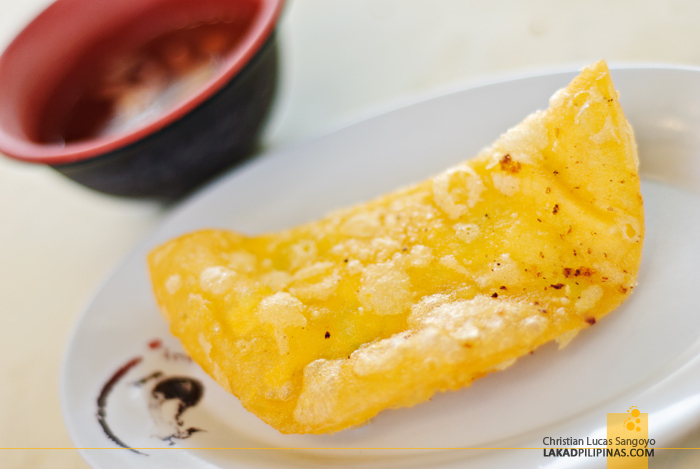 the best reason to go back to Ilocos: Emapanada! Haha. Twenty seven steps away talaga? May tour kami sa Ilocos ngayong 15 at ang breakfast namin ay sa Plaza burgos, I think I need to check out their empanada. Hahaha. hello, are food stalls in burgos plaza open at 8am?